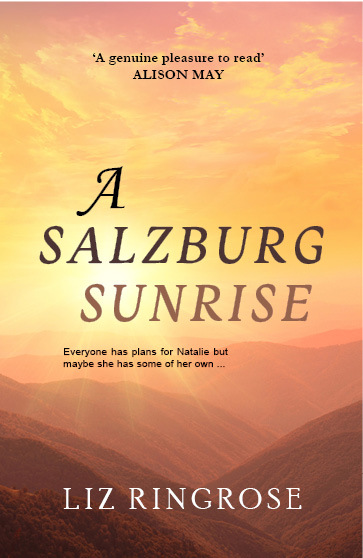 Today (12 August 2015) I’ve launched A Salzburg Sunrise onto Amazon Kindle. The paperback version will follow soon. I first wrote about Salzburg when I was fourteen years old and I never tire of visiting, thinking about and dreaming of this wonderful city. I hope readers will fall in love with it as much as I have. There have been so many people to thank during the writing of this novel, both in the UK and in Austria. I daren’t try to name them in case I miss someone out, but you all know who you are. This one of my favourite views of Salzburg . Well done Lizzie. You deserve every success. Thank you!. Could not have done any of it without you!! A great book read, loved it! Write some more, please. Hi Judith, thank you so much for your kind words. Thrilled that you loved A Salzburg Sunrise. I have written a small novella set in Salzburg called “Favourite Things” which is also available on Amazon. Regards, Liz. Huge congratulations on your new novel, Liz. I’ve just downloaded it and I can’t wait to read it. Hi Gillian, thanks so much for your kind words and downloading the novel. Liz. 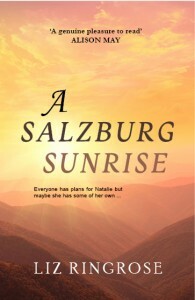 Thanks so much for downloading A Salzburg Sunrise. I do hope you enjoy it. Thanks for your kind comments. Regards, Liz. Thank you for your lovely comment, Sue. I have written a novella set in Salzburg called “Favourite Things.” It’s also on Amazon. So thrilled you enjoyed A Salzburg Sunrise. Regards, Liz.